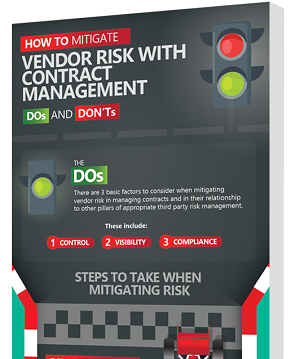 What you do in your vendor contract management processes can help mitigate vendor risk for your organization. Contract management is not simply about trying to negotiate the best financial and legal terms but also a key component of managing risk and vendor relationships within your organization. It can also provide strategic advantages to your organization. In this latest educational and complimentary infographic, we bring you some of the industry's biggest dos and don'ts that the most successful organizations are following.